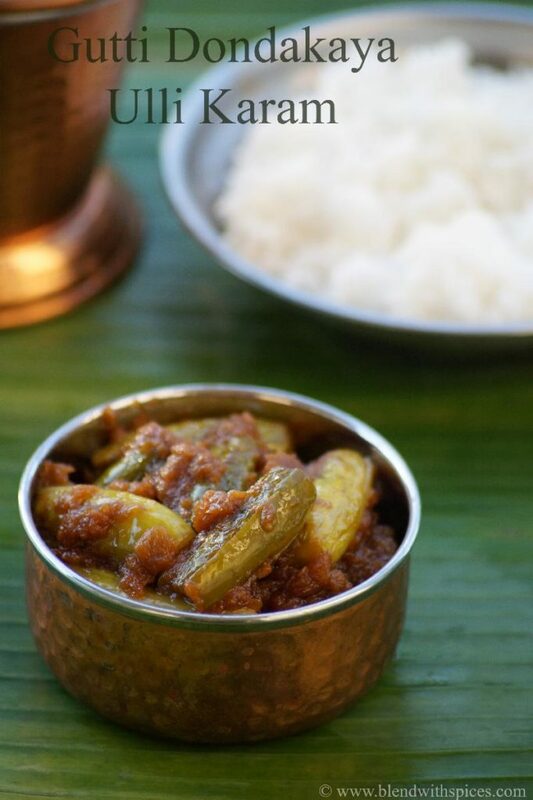 If you are looking for more South Indian Recipes then do check Kathirikai Rasavangi, Vazhakka Thoran, Vazhakkai Podimas, Brinjal Sambar, Menthi Kura Pappu, Keerai Sambar and Hotel Style Coconut Chutney. Peel and chop the onions into pieces. Heat 2 teaspoons of oil in a pan. Add and fry the chopped onions until light brown color. Turn off the flame and let them cool. Grind the sauteed onions, turmeric, red chilli powder and tamarind extract into a paste and set aside. 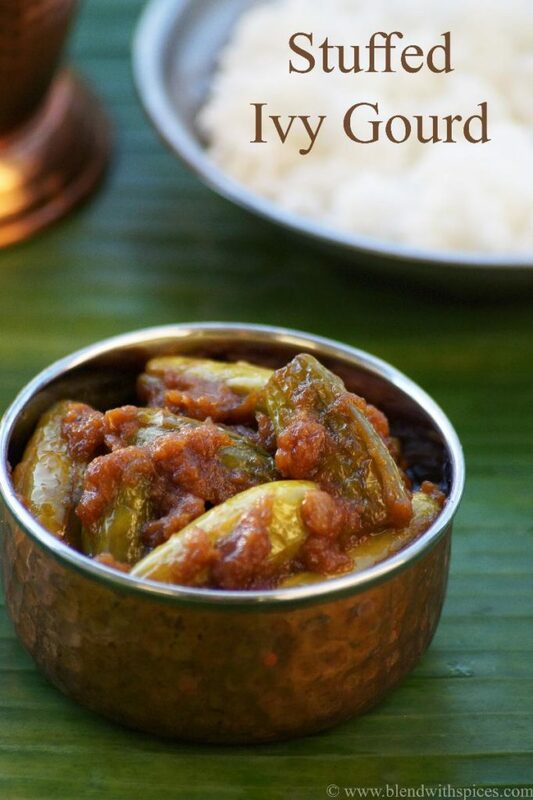 Wash the ivy gourds and make a plus shape (+) slit. Keep one end intact. Now stuff the prepared onion mixture into the ivy gourds. Heat oil in a pan and add the stuffed ivy gourds carefully. If you have leftover stuffing, add it into the pan. Add little salt and cover with a lid. Let it cook over a low flame until soft. Keep checking in between and turn the ivy gourds a little until they are evenly cooked.